The Danube is a river with symbolic power, since it connects Europe from the west to the east. 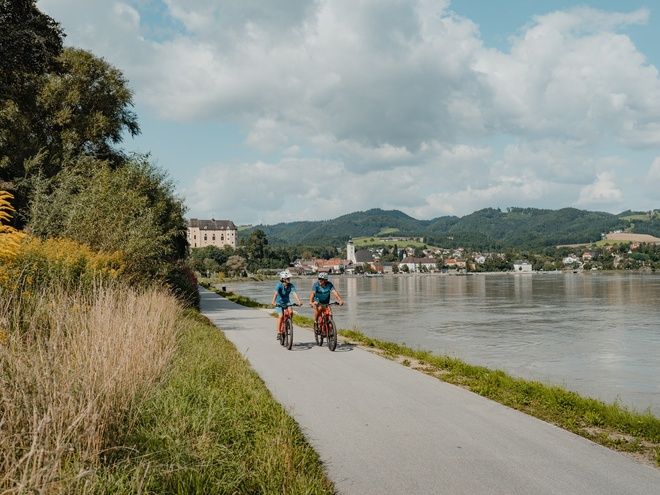 The various allures of the landscape, historical sites, picturesque and history-laden cities and towns are the incomparable combination that makes the Danube Bike Path so special. Near Passau, the Danube – and along with it the Danube Bike Path – arrives in Austria. The Danube Valley is framed here by forested hills. Engelhartszell with the only Trappist monastery in Austria and the Schlögener Schlinge – where the Danube changes directions twice – are the first highlights of the tour. East of Aschach, the character of the valley changes and the riverbanks become more level. Bikes roll along the characteristic towpaths, where horses were once used to pull ships upstream. After passing Wilhering Monastery, you will reach Upper Austria's capital of Linz (Capital of Culture in 2009), which invites visitors to take an expedition with its fascinating combination of traditional and modernity. Enns, the oldest city in Austria, and the Late Baroque Monastery of St Florian invite bikers to take a rewarding excursion, before heading towards the bountiful plains of the Machland. Shortly before arriving in Grein, the Danube Valley once again becomes narrow and the steep banks loom high above the river. The Strudengau was once feared by sailors because of its whirlpools. Commerce and the services provided by ship pilots made Grein the picturesque "golden little city" it is today. Near Ybbs/Persenbeug, the Nibelungengau begins, and with it the Lower Austrian portion of the Danube Bike Path. Not long after leaving Ybbs, the pilgrimage church of Maria Taferl welcomes visitors from its hilltop perch. Soon afterwards, Melk Monastery rises majestically above the Danube on a hill and marks the gate to the Wachau. The Wachau features gently terraced vineyards and idyllic towns with names like Spitz and Dürnstein and extends 40 kilometres downstream to Krems, a world heritage site of the UNESCO and a wine-growing region with international renown. In order to facilitate your individual travel planning, we have put together some information about travelling to and from your destination. Passau is the classic starting point for a multiday tour along the Danube. Please note that parking fees are payable on site. 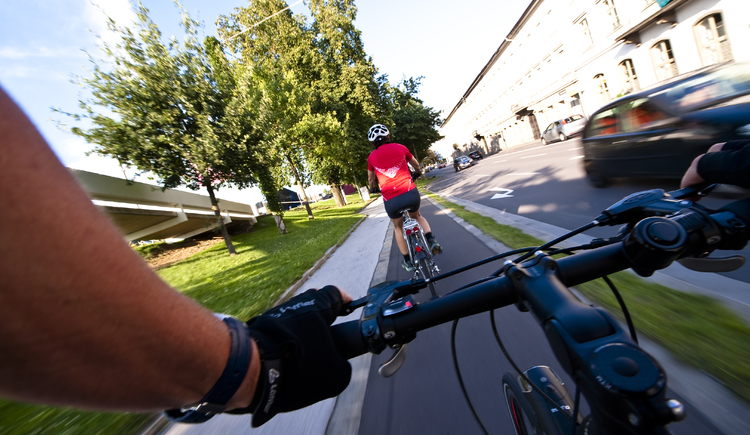 Visitors who would like to travel along the Danube in a leisurely manner can combine their biking tour with a Danube cruise. VERBUND, Austria’s leading energy provider and operator of the Danube power stations, has adopted a regulation for the use of the Danube power station crossings of Abwinden-Asten and Ottensheim-Wilhering, in association with the State of Upper Austria’s Department for Comprehensive Traffic Planning and Public Transport, Upper Austrian Tourism and the mayors of Ottensheim and Luftenberg. It is guaranteed that the crossings are open from 1 April to 31 October, from 6:00 AM to 10:00 PM. If temperatures are sufficiently warm in November and March, the crossings are also open. From early December to late February, though, the crossings are closed to bikers and pedestrians for liability reasons. The municipalities do not assume liability for the use of the crossings during the other months. Distributing gravel and salt along the crossings leads to damage to the buildings of the power station and the offices that are located below. It is therefore not possible to guarantee that the crossings are free of snow and ice. For this reason, the power station crossings are closed in December, January and February. 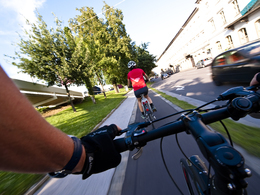 The State of Upper Austria’s Department for Comprehensive Traffic Planning and Public Transport gives users of the cross-regional network of bike paths advance notice regarding the opening times by means of signs along the bike paths. 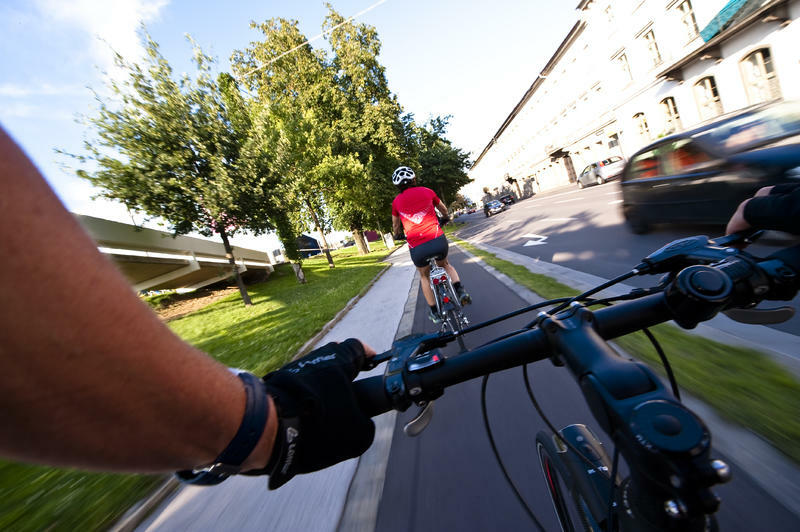 “Notice boards along the bike paths will inform bikers in due time of the opening times,” states Johann Froschauer, who is responsible for the network of bike paths in Upper Austria. As it is possible for the weather to be warm for prolonged periods of time in November and March and therefore to use the crossings without the risk of snow and ice, VERBUND is willing in the interest of the public to open the power station crossings to bikers and pedestrians if the weather is warm in the future. For this reason, the regulations, in particular at weekends and round Easter, are less complicated. Nevertheless, it is VERBUND’s decision whether to open the crossings.